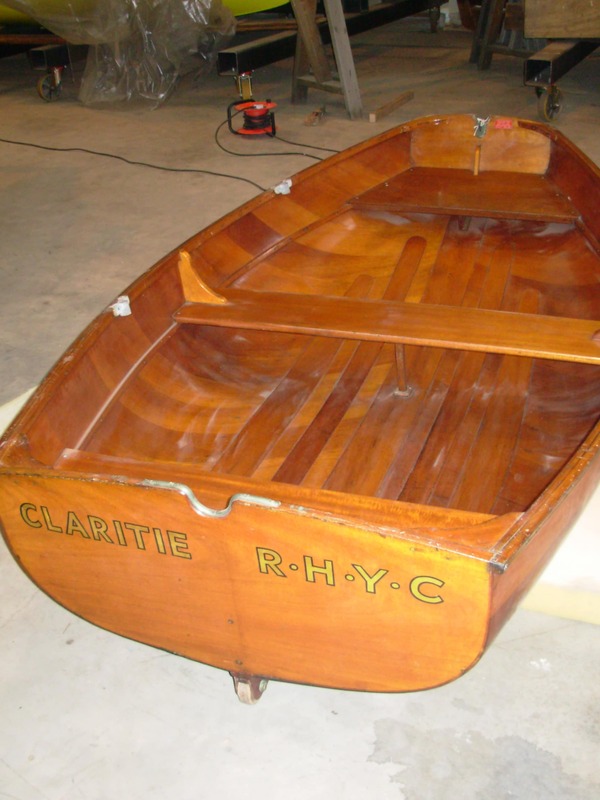 Claritie is a 1956-built typical example of the common wooden and later GRP built pram dinghies which were carried aboard yachts as a tender. Designed and constructed by the well known designer Austin “Clarence” Farrar Claritie was an early experiment in cold moulding plywood. This system of manufacture was developed to improve the more traditional hot moulding method used to build aircraft during the war and which had produced thousands of boats post war but required heavy and expensive equipment as well as the availability of sizeable timber. This new method involved a much stronger and more versatile mould, a vacuum bag and specially formulated glue. It used two layers of three mm mahogany with the inner skin fixed at 45 degrees to the centre line with the outer skin running fore and aft to simulate planked carvel construction but also to mimic the smooth .surfaces seen on the GRP dinghies which were beginning to make an appearance. This method of construction produced a very strong but light shell without the need for ribs or frames. After glues had set within the vacuum the shell was lifted off for completion, to fit the gunwales, thwarts, knees and other equipment. Although only 7ft 7in in length Clairitie was capable of carrying four adults, albeit in calm waters. 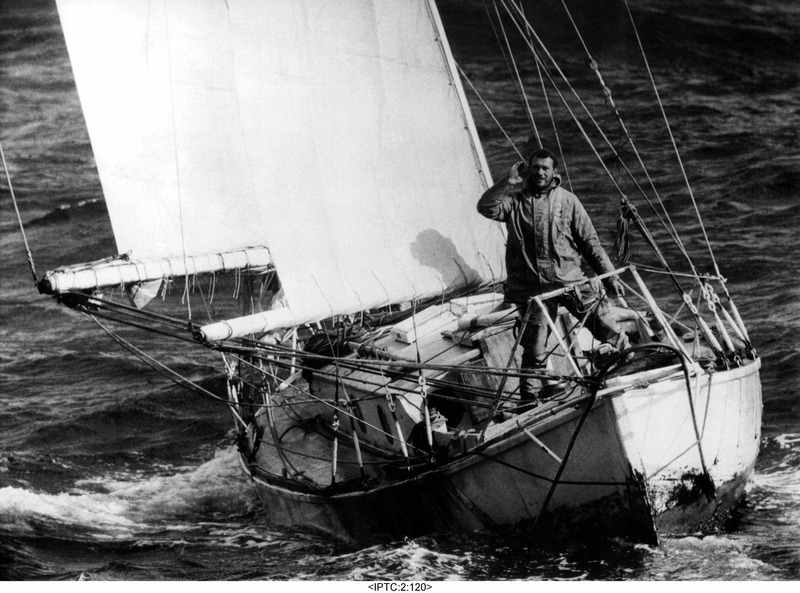 The boat’s name stems from Farrar’s nickname, Clarence. At the time of its design he was writing for a yachting magazine a series on articles explaining the racing rules. The series was called “Clarence’s clarities” and the name was adapted for the dinghy.